This post from my good blogger friend Sra got me thinking. I read it. re-read it and was even compelled to tweet it. I felt she hit a homerun by aptly putting in words how we, bloggers feel almost every time we hit that "Publish" button. I did write a few words on how this blog got started in my anniversary post and today's version is just an extension of it - a contemplation of sorts on Why I Still Blog ..
+ I blog because it gives me joy, immense joy. + I blog because there is an under nourished writer in me. Sigh! I don't even consider myself good at expressing myself - to put in words how and what I feel. And I want to change that, one post at a a time. + I blog because I make new friends almost every day. I read new blog posts which give a different perspective to life in general and inspire me to do and cook better. + I blog because I get to share stories and take notice of those moments which otherwise would be lost in oblivion. + I blog because I want to know my own story many years down the line. How my thoughts were shaped, what I did and why I made certain choices. + I blog because it is my platform to find support, to help people around. Remember how so many of you rallied with me to raise funds for little girls at Vaidehi Ashram. I can never forget that heartwarming gesture and each one you who came forward and lend their hand has a special place in my heart. + I blog because it is a reflection on bit and pieces of my every day life. Not in its entirety, but you get an idea. + I blog because a lot of effort and passion goes into duplicating my mother's recipes; it's more than just a list of ingredients and a set of directions to follow. I want to remember the aroma of freshly ground spices in her kitchen, how my mother smiles at a perfect bowl of dal and how we discuss on what to make next for the blog - that is something I always, always wait for! + I blog because it challenges and inspires me in more ways I can ever imagine. I do fail many at times like not finishing VeganMoFo challenge last month, but the journey itself where I constantly brainstorm what to cook next and how to photograph within the limited resources I have is worthy enough to give any challenge an honest attempt. Today's recipe is from one of the first blogs I read very diligently. - Mahanandi. I am proud to say that Indira, the vivacious lady behind this popular blog is a good friend and I even had an opportunity to talk to her once. She occasionally blogs about food now and her posts these days are mostly about her garden and menu plans. But, I still adore her as she is one of the few people who influenced me to start my own blog. Bendakaaya (Okra) Sambar is something we make pretty often and is our house favorite. We save all those chewy, not-so-good okra and make this delicious stew by the end of the week. When served with rice and pickle, this sambar tastes darn good especially on cold dinner nights. If you have made it before, it is time to make some. Enjoy! In a pressure cooker, add toor dal with 1 cup water and cook for 3 to 4 whistles. Mash the dal. Heat 1/2 tsp oil in a kadai and add onion and tomato. Cook for few mins and then add okra pieces. Saute until soft. Add a glass of water, tamarind pulp, turmeric, salt, coriander powder and sambar powder. Mix well, cover and let it simmer for about 10 to 12 mins on low-medium heat. Okra must become tender. Add mashed dal and continue to simmer for 10 mins. Adjust salt if necessary. Turn off heat and cover. In a separate kadai, add a tsp of oil. Once hot, reduce heat and add urad dal, mustard seeds and cumin seeds along with red chillies, curry leaves and hing. Once mustard seeds start to splutter, gently add the tadka mix to sambar. Cover and let it sit for few minutes so that the flavors blend in. Serve hot with rice and papad. This is Recipe 60 added to 2013 Recipe Archive. Check out the rest of the recipes too. Continue the good work, Siri! I blog, because I want everyone to know that it is possible to eat healthy food, without consuming meat and milk products such as ghee and paneer. These days the concept of vegan food is gaining popularity in India. Thanks to the blog , vegan India. well put siri, nice post loved the okra peeping out in the second pic ! love this post and the pictures! Yum! I'll be using this recipe this weekend. I might even steal your "why I blog" idea for my own. Hope you don't mind. I am only few months into blogging. 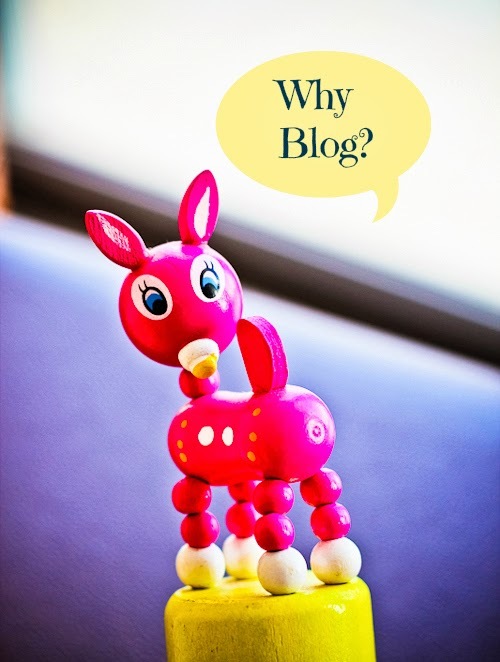 I enjoy it but these question always occurs to me Why I blog ?, How long should I blog? I am happy to know that you feel this too. Mine is a niche blog and am planning to blog for 1 year. Though I am not so frequent in blogging I still blog for the above mentioned reasons (most). It gives me immense joy and makes me feel good about myself :) Keep up the good work Siri.